Kaya’t patutunguha’y tiyak na mararating. And there for sure, I would be. Gaya ng pag-ibig na tila hamog sa pusong nauuhaw. Just like love is like the dew to hearts that thirst. Sunday morning, it was a little past five, when I was awakened by a text message on my cellphone. It said it was urgent. I rose up from my bed and made an overseas call to my home in the Philippines. It is December now, “tis the season to be jolly,” as the song goes. Twenty-three days till Christmas. As I made my phone call, it was nice to hear the voices of my family back home that I have not seen for a while. Nice to keep in touch with them, for after all it is the holiday seasons. But not like this. Not on this unforseen circumstances. As I hung up the phone, I looked out the window. It was still dark. And foggy. And cold. What a dreary day. But I could not get back to sleep. My mind was racing and my heart was troubled. 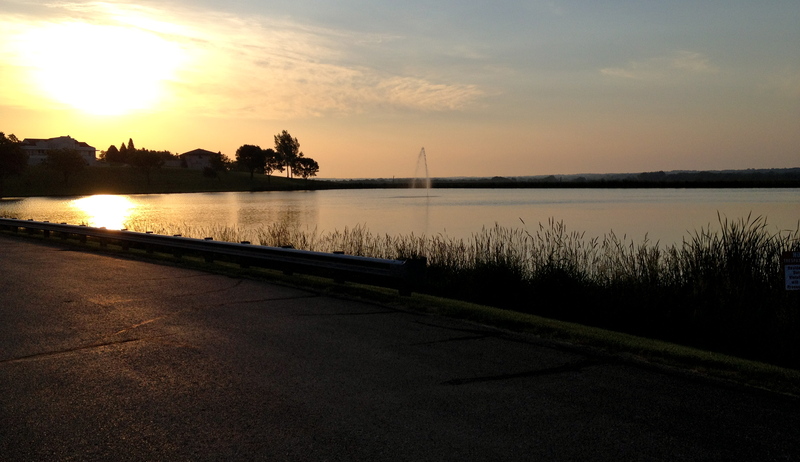 So as soon as the faint light of the morning have broken, I decided to go out for a run. 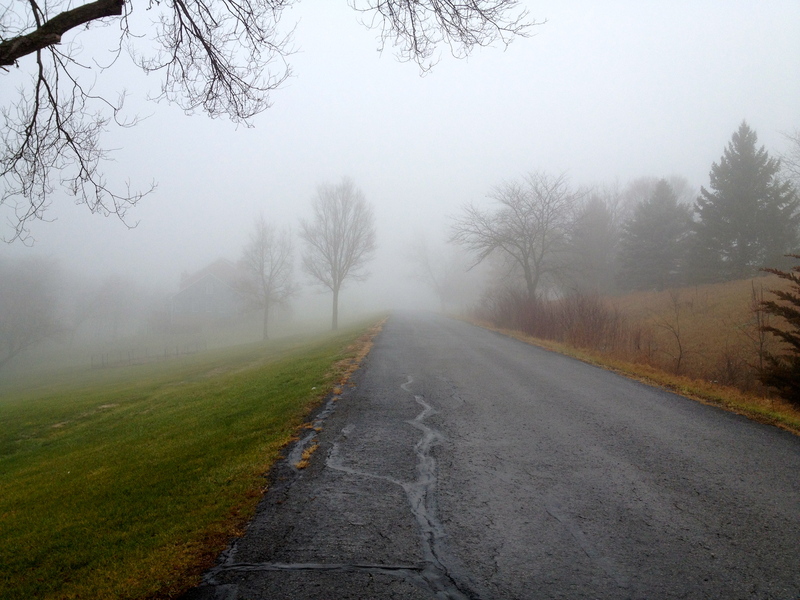 Yes it was foggy and gray outside, but I needed to clear my head. I needed some time to be alone. 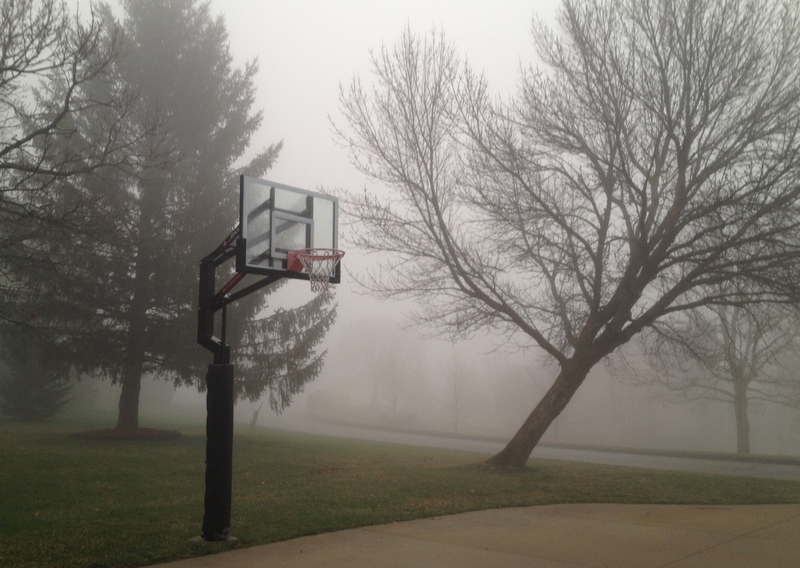 As I was running outside, the visibility was really awful. The haze hung like veil in some kind of Alfred Hitchcock movie. 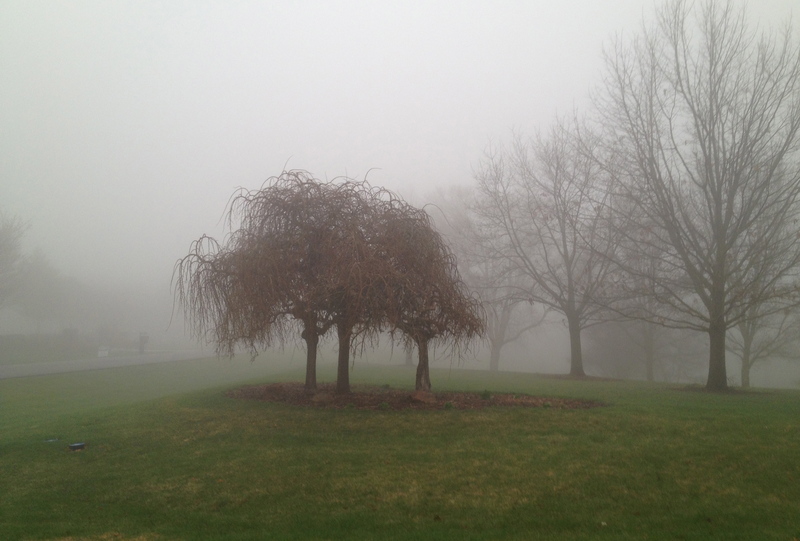 But it was more than fog that obscures my vision. For my eyes were also misty. And I was unabashed to let the tears flow, for there was nobody there except me, in the solitude of the gloomy morning. I was alone. I felt alone. Yet I continue to run. As I pant, I started to feel a certain kind of warmness. Warmness that was more than the sweat in my brows. 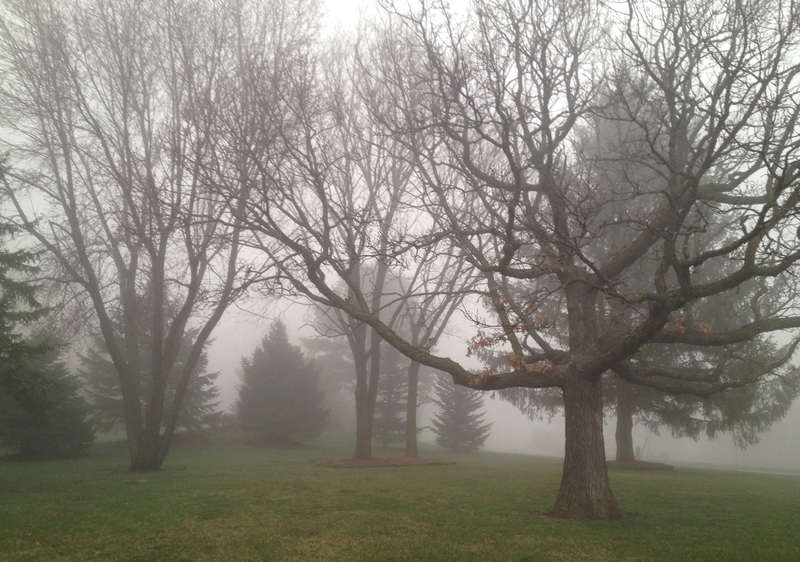 As I breathed heavily the cold foggy air, I felt such peacefulness and assurance. Then I heard trumpeting sounds. No, it was not the musical instruments. 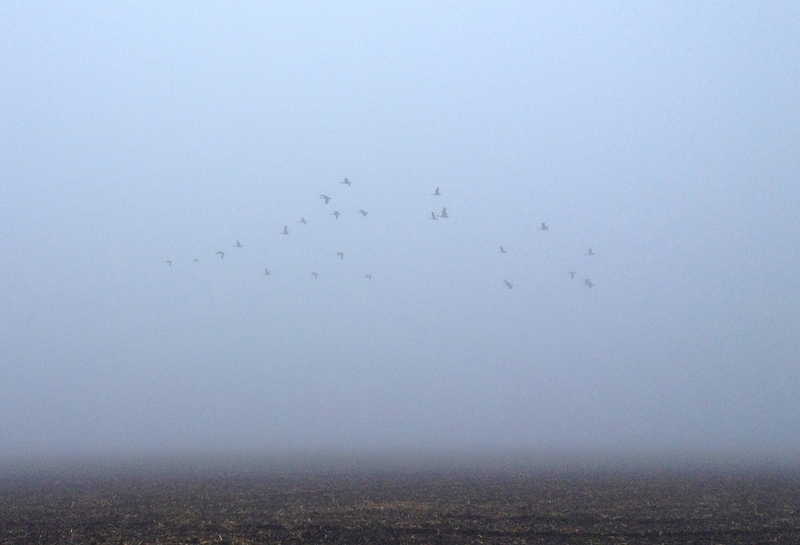 As I looked up I discerned a flock of trumpeting geese flying in the overcast sky. 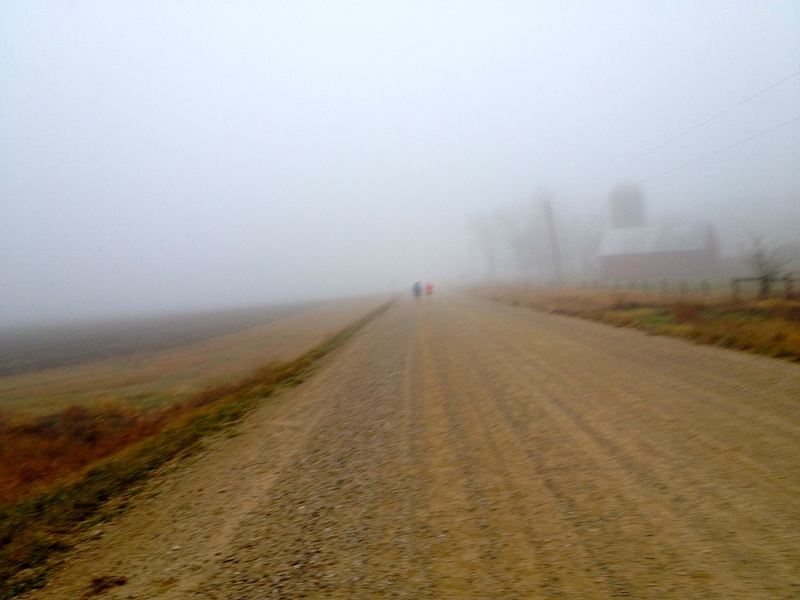 And then when I was passing through the isolated and lonely gravel road, I heard voices. Yes, human voices! 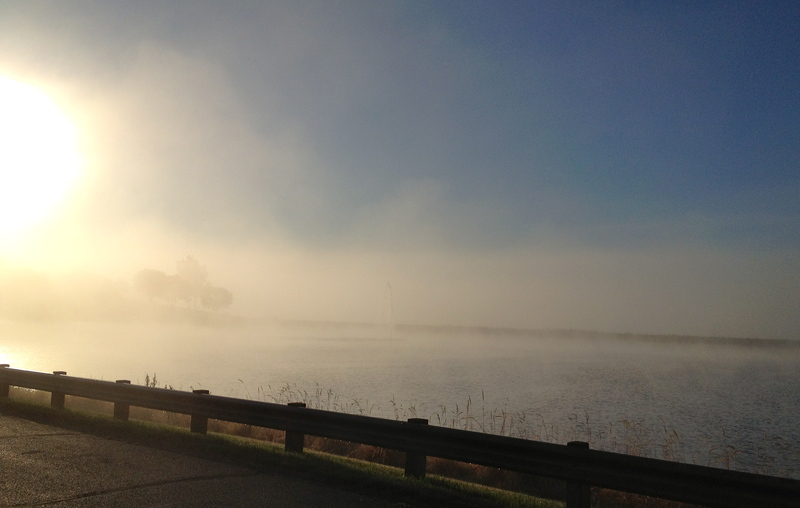 As I looked back from behind me, I detected shadowy figures emerging from the haze. Runners! It was so unusual for me to encounter some other souls in this road, let alone to see a wave of runners (there were seven of them that passed by me) wandered in this deserted road. It was not the geese. Nor it was the runners. Something more than these made me feel that I was not alone anymore. 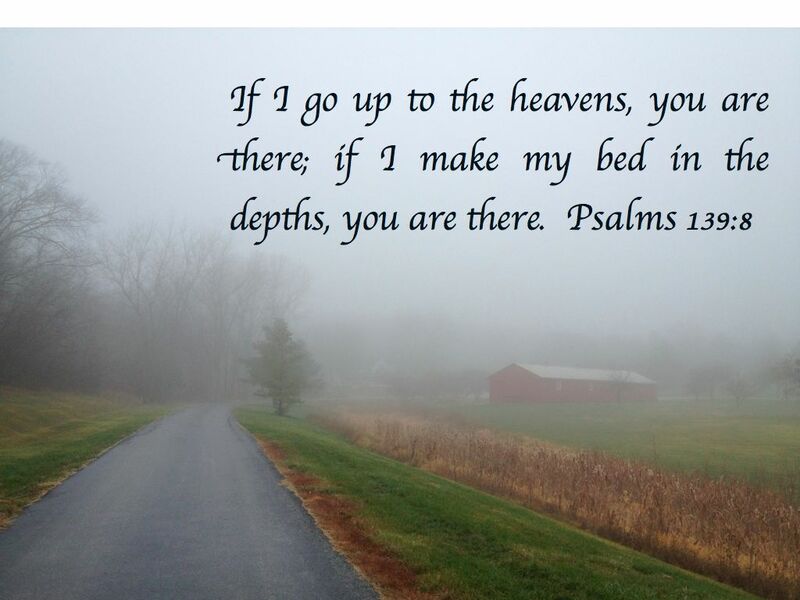 Suddenly I felt the morning fog warmly hugging me, reminding me that I am never alone. Somehow in my somber moment, I felt His presence there. 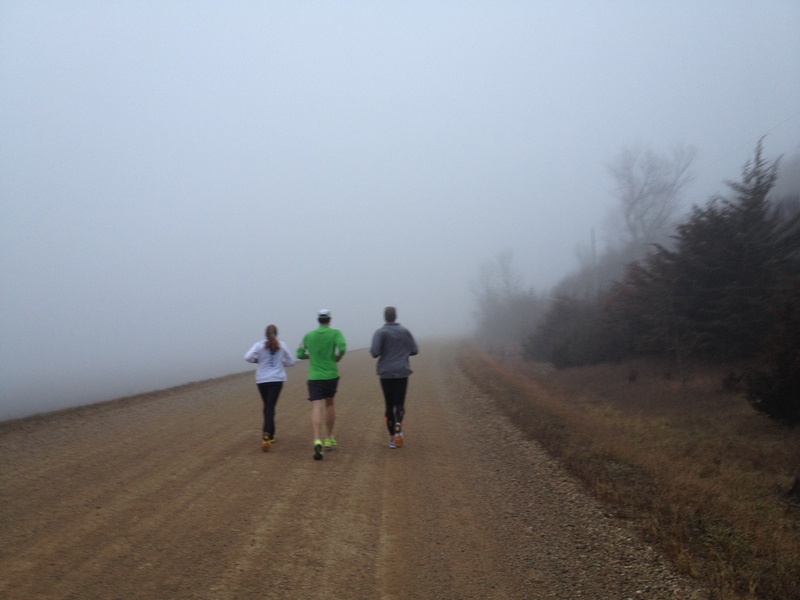 One summer morning, I went out for a run. The sun was already up in the horizon but thick fog blankets the surrounding, making the visibility limited to several yards only. But since I know the path I am going to take, for I have passed through them a hundred times, I proceeded. With me was my iPhone not just for my music but for emergencies too, if in case something goes wrong during my long runs. I could be attacked by a black bear, or pounced by a mountain lion, or bitten by a viper. Just kidding. The only wild creatures we have here that I am in danger of, is being charged by a deranged deer, or sprayed by a hyper-excitable skunk, or assaulted by angry birds (no, not the video game). Having my iPhone also allows me to take pictures so I can show and tell. 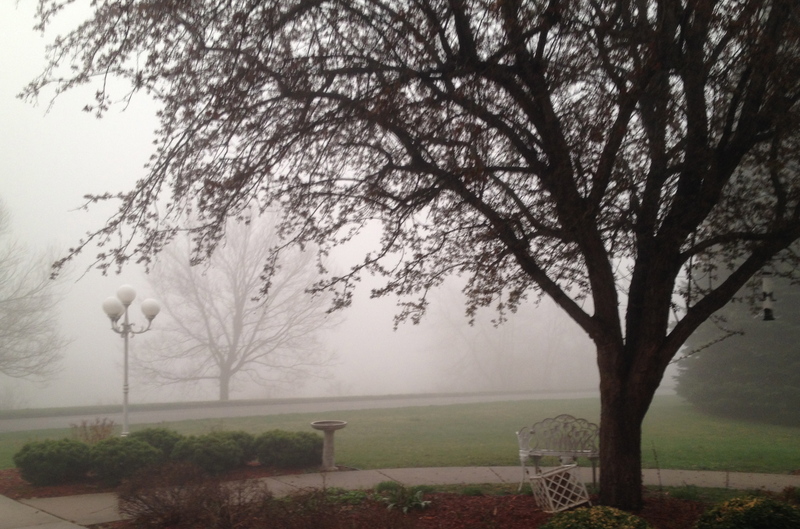 Here are the pictures of that foggy morning. The fountain and the lake looks eerie, like an apparition in horror movies. The photo below is what it looks like on a clear day. 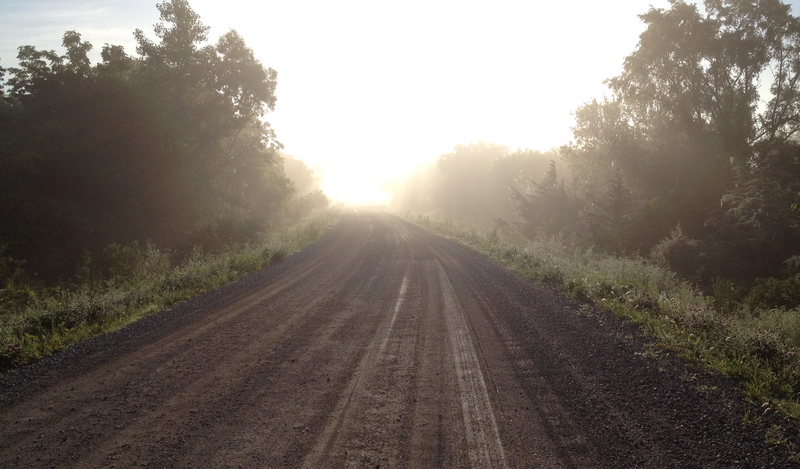 Not only does this dirt road seems lonely, but it also looks dreary and even frightening. 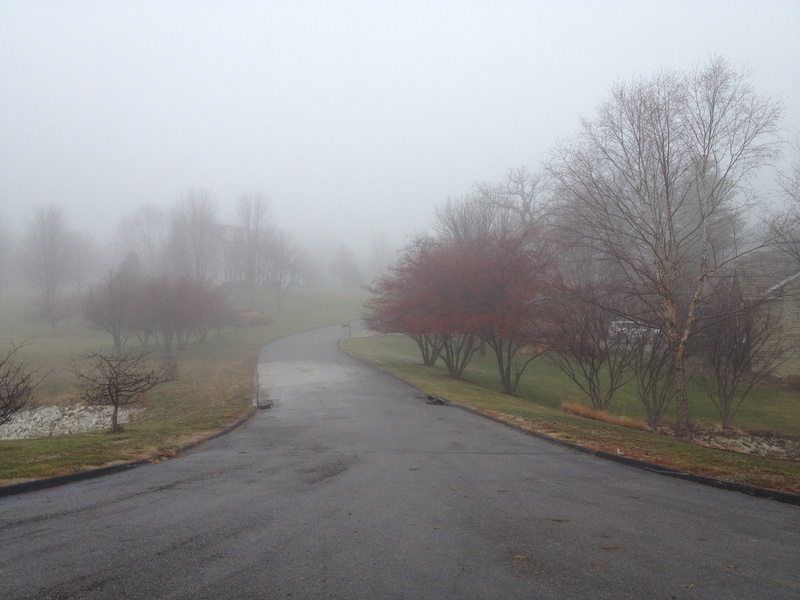 What could be lying in wait in my hazy path? Aliens? But I continued to press on. 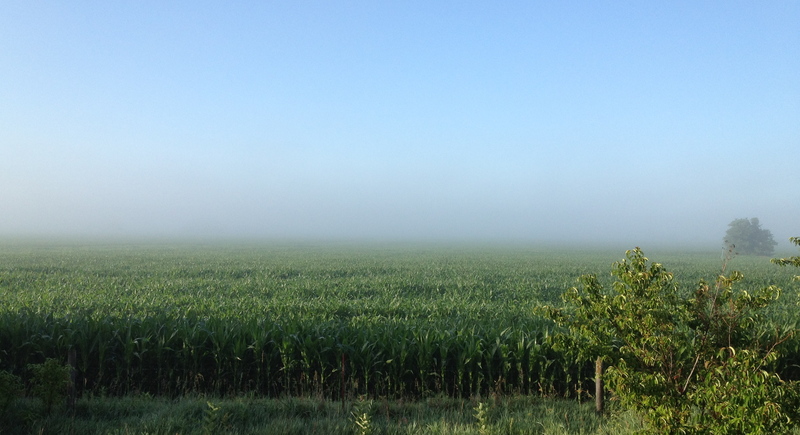 And soon the fog started to burn, revealing the wide fields of growing corn. Later on, the visibility immensely improved and I can see what a beautiful morning that it was, with the sun proudly shining in the blue expansive sky, and the sea of corn dancing like gentle waves in the light summer breeze. A deer even amused me and posed for a photo shot. 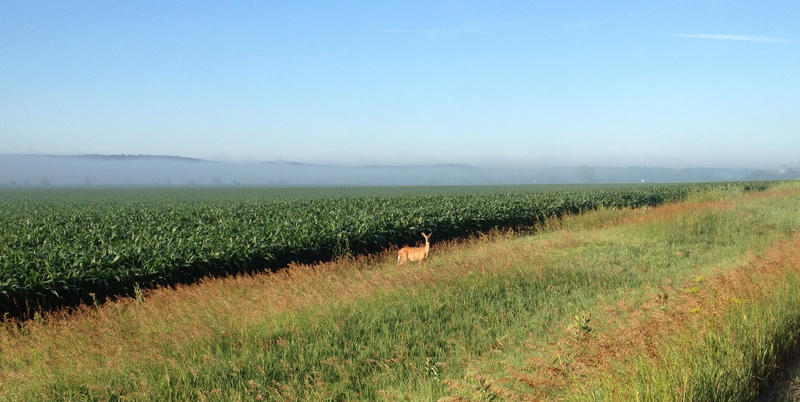 If you did not spot the deer in the photo above, here she is in the open. 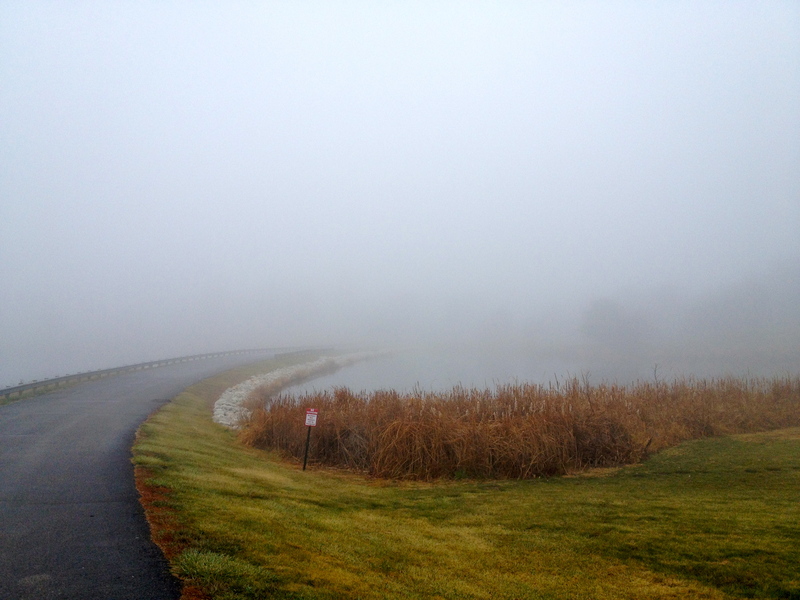 Many times when we start on an endeavor that our path could be shrouded in a mist of uncertainty, and our goal is obscured from our view. 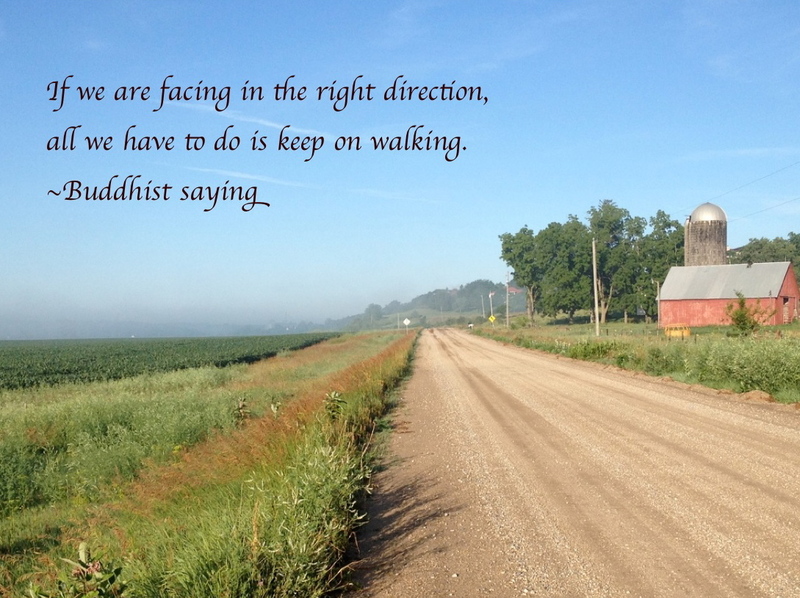 But we should have the resolve and trust in ourselves to keep on plowing on. For we may not see our bearing now, but soon enough if we persevere, the fogs of doubt will burn off, and the outlook will be clear.